At Allcare & Allied Health Services LLC, we provide services that are quantifiable to meet every individual client’s home care needs. Learn more about our home care services such as specialized care, companion care, and services for adult, senior, and pediatric patients. Allcare & Allied Health Services LLC provides Companion Services to individuals who live at home with their families, living alone, or in any living facility. Our caregivers are well-trained to offer supervision, care, and assistance to protect the health and safety of the individuals when an individual is not working on learning, maintaining, or enhancing a particular skill. Our Companion Services include supervision during socialization activities, assistance as needed with activities of daily living such as personal care, grooming, meal preparation, running errands, and light house cleaning. Chronic health problems and/or occasional acute health crises will eventually challenge most of our older adults. Many adults and seniors with significant physical or cognitive impairments live at home or with a friend or family member. In the cases where additional care and support is needed, many people prefer to receive services in the comfort of their home. 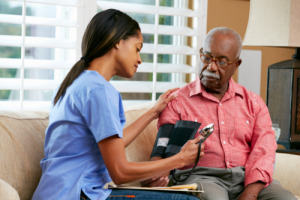 With our In Home Services, our primary goal at Allcare & Allied Health Services LLC is to assist you and/or your loved one as they strive to stay in the community and living arrangement of their choice. The services provided represent a partnership to create a safe, secure environment providing them with the support needed to experience a variety of opportunities to foster independence. Our In Home Services at Allcare & Allied Health Services LLC provides support to adults in their own homes. You and your family decide how, when, and who serves your loved one. A Personal Support specialist will help develop the unique support plan for your loved one. With our personal support, we provide assistance in areas you identify. For instance, you may choose to be more active in the community, to learn new skills like cooking or managing finances, or to learn how to use public transportation. For those living on their own, our Personal Support staff at Allcare & Allied Health Services LLC provides additional assistance. Among the most popular services are assisting with personal financial skills and helping with personal health care like making appointments and communicating with doctors and insurance companies. Let us know if you have any other inquiries about our Services/Waivers. Contact us at 610-461-2071 or 267-699-8542. For any concerns about our waivers, please don’t hesitate to contact us. Call 610-461-2071 or 267-699-8542 for immediate assistance now.